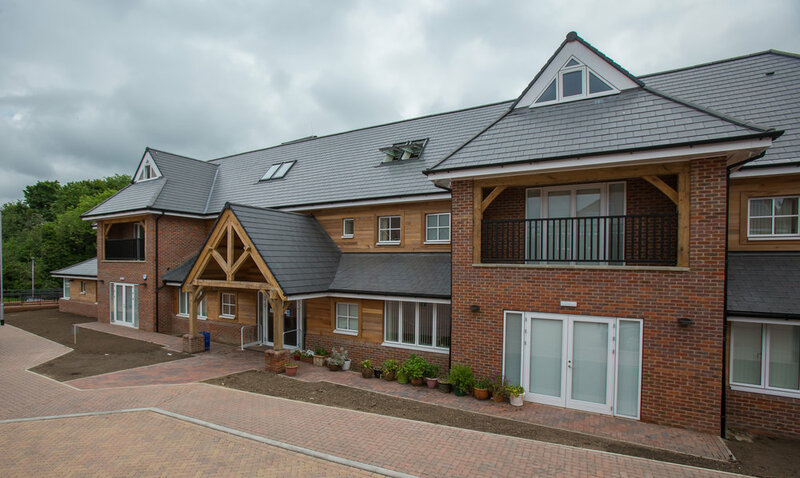 Three storey palliative care hospice providing purpose-built areas for clinical treatments, Lymphedema care, complementary therapy, physiotherapy and counselling. Installation of a main panel and distribution boards located in risers on each level. General power supplies and dado trunking to nursing areas, office areas and circulation. Led lighting installed to nursing areas, office areas and circulation with surface and linear recessed fittings. A complete new addressable fire alarm system with smoke, heat and manual activation. New LED wall lights, bollards and street lights to the car park areas. New PV system installed on the roof. Heating & cooling is provided by air source heat pumps. Heating & cooling in patient room is provided by ventilated chilled beams. VRF system provide heating & cooling to the offices. Hot water is provided by gas fired water heaters.